Silver is a mermaid, not so very different from Disney’s Ariel. She likes to sing songs with her sister Golden and frolic in the sea. She will also be tempted to permanently adopt human form when she falls in love. That will be a big deal, because the mermaids typical eat men, after ensnaring them with their siren songs. Love is wet and painful in Agnieszka Smoczyńska’s The Lure, which screens during the 2016 Sundance Film Festival. Golden will regret not eating Mietek the bass player when she and Silver had the chance. Instead, they were rather quite taken with his playing, so they start singing with his family’s trio, Figs and Dates. Their sleazy impresario recognizes the novelty value of two naked singing mermaids, so he starts promoting them aggressively. Soon, they are the toast of Warsaw’s retro-1980s “dancings” scene, but there is trouble brewing. The long stretches out of water are not good for the mermaids, particularly Silver, who has sworn off human flesh in deference to Mietek (but Golden, not so much). Despite her obvious torch-carrying, Mietek remains oblivious to her ardor—perhaps even willfully so. However, this holds some pretty heavy implications for mermaids. Isn’t it great to have a splashy new water-based musical? It is like Ethel Merman swims and sings again. 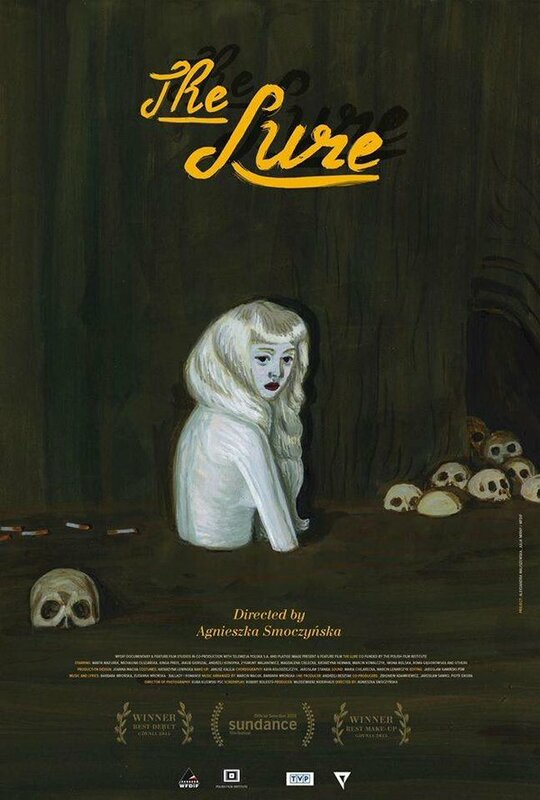 The Lure is strangely impressive when judged solely on movie musical terms, but what really makes the film distinctive is the way Smoczyńska and screenwriter Robert Bolesto update and deepen the mermaid mythos for a generation of urban fantasy readers and dancings scenesters. Marta Mazurek and Michalina Olszanska sell it perfectly as the relatively innocent Silver and the vampy Golden. Yet, Kinga Preis nearly out-divas Olszanska as the vocalist-mother of Figs and Dates. It all has a suitably eccentric look of indefinable vintage thanks to the work of production designer Joanna Macha and her team. The Lure is sort of like love itself. It can be dark and sinister, but you miss it when its over. This is a wonderfully weird fairy tale that could be considered the flip side of Károly Ujj Mészáros’s warm and humanistic Liza, the Fox-Fairy. Highly recommended for mature genre and musical fans, The Lure screens again tomorrow (1/24), Tuesday (1/26), Thursday (1/28), and Saturday (1/30) in Park City, as part of this year’s Sundance.